Greetings! 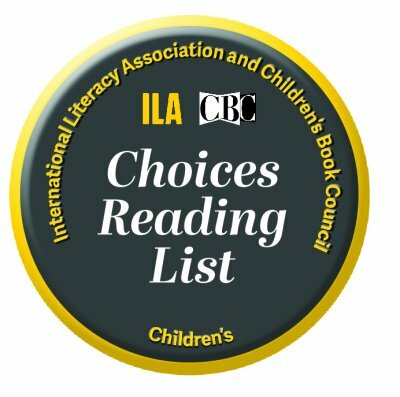 I have some awesome news to share with you! Fabien Cousteau, aquanaut, ocean conservationist, and documentary filmmaker who helped children’s author, Robert Scott Thayer on my third title, Kobee Manatee®:Shipwreck Sea Friends, will be exploring Belize’s Great Blue Hole with Sir Richard Branson on Sunday, December 2, 2018. And their historic dive will be broadcast LIVE on the Discovery Channel! 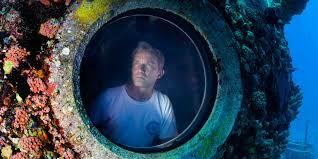 Fabien Cousteau is the oldest grandson of legendary ocean pioneer, Jacques Cousteau. And Sir Richard Branson is a very successful English businessman, investor, author and philanthropist. He founded the Virgin Group. What is the Great Blue Hole? 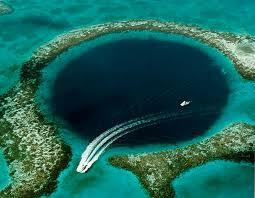 The Great Blue Hole is circular in shape and is located approximately 46 miles off the coast of Belize. It is the world’s largest natural formation of its kind and it is part of the huge Barrier Reef Reserve System, a UNESCO World Heritage Site.The hole itself measures approximately 984 feet across and some 410 feet deep. The Great Blue Hole is about 410 feet deep and measures approximately 984 feet across. Divers have reached its bottom previously however; the total darkness and the difficult conditions down there severely limited their ability to collect scientific data. The Great Blue Hole is the largest sea sinkhole in the world. As a result, it is one of Belize’s main tourist attractions. The hole was actually a submerged cave, which formed over a period of tens of thousands of years ago during past ice ages when the sea level was an astonishing 100-120 meters lower than it is today. As time went on, runoff from glaciers dissolved the rich limestone ground, which formed sinkholes with extraordinary caverns below. These cavern roofs eventually collapsed, creating extremely deep holes. 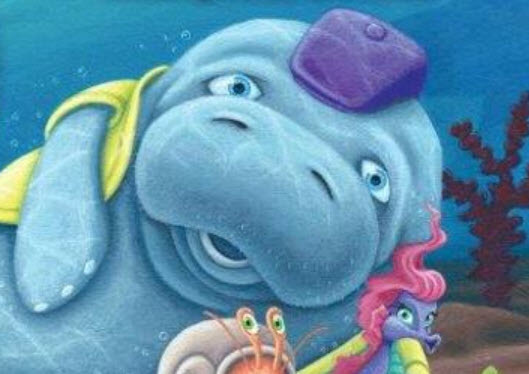 And as the glaciers from the ice age continued melting, the deep holes in the ground became filled with water, creating the phenomenal blue holes of today. On December 2, 2018, the Discovery Channel will air the live broadcast of the historic Great Blue Hole dive with the elite exploration team of Fabien Cousteau and Richard Branson. This dive will only be the second documented for exploring the Great Blue Hole’s depths. The first dive was back in 1971, when Fabien’s grandfather, legendary ocean pioneer, Jacques Cousteau navigated his research vessel Calypso there and recorded it. And now, just about 50 years later, Cousteau’s oldest grandson Fabien Cousteau is returning to the mysterious site with Richard Branson along with a team of researchers. “Geologically speaking, it’s a really cool formation,” Fabien Cousteau told DailyMail.com. “And it’s an interesting phenomenon because they’re very rare. [My grandfather] brought Calypso into the Blue Hole and sent divers and his submersible, but it was 1960s technology,” Fabien explained. At age 4, Fabien learned how to dive from his grandfather. The last historic event from Fabien Cousteau was in 2014, when Fabien broke his grandfather’s record by documenting and spending 31 days underwater filming and exploring. Jacques Cousteau held the previous record where he spent 30 days underwater. World-renowned oceanographic explorer, Fabien Cousteau observes sea life and habitat during the historic Mission 31 off the coast of Key Largo, Florida. Now on December 2, 2018, Fabien is returning to the same site (The Great Blue Hole) where his grandfather visited some 50 years ago. However, this time the team is equipped with state-of-the-art technology, which could easily shed more light and explain the mysteries of this historic place. 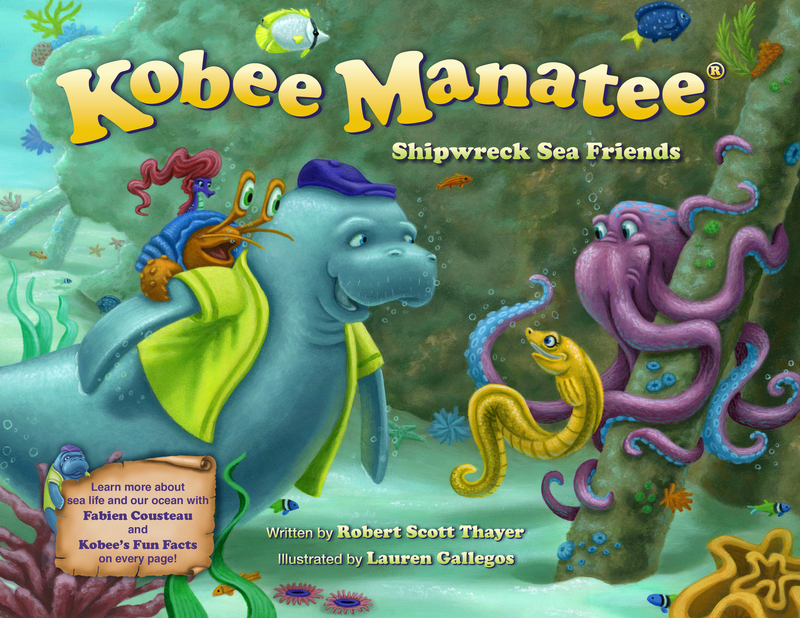 Award-winning children’s educational picture book, Kobee Manatee®: Shipwreck Sea Friends, lets children easily identify ocean life with extraordinary examples of beautiful reef fish on each page. 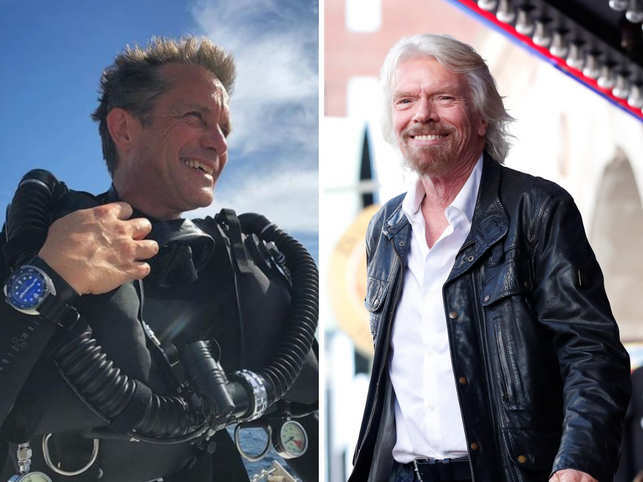 Fabien Cousteau and Richard Branson Explore Belize’s Extraordinary Abyss – The Great Blue Hole on December 2, 2018!